This Master's programme will deepen students' knowledge of child development and developmental psychology and prepare them for professional work with children and young people, or progression to higher research degrees or employment as a researcher. A minimum of a second-class Bachelor's degree from a UK university, or an overseas qualification of an equivalent standard, either in psychology or a related subject, that has been accredited by the British Psychological Society. A minimum of a second-class Bachelor’s degree that contains at least 60 credits (excluding year 1) in the five core areas of psychology (Biological Psychology, Cognitive Psychology, Developmental Psychology, Personalities and Individual Differences and Social Psychology). This programme provides a high-quality education in the main theories, methods, and findings of psychological research relating to child development. The programme aims to enable independent learning and an approach to developmental psychology that is both informed and critical. Participants have the opportunity to conduct research that contributes to the field of child development. The programme consists of three core modules (90 credits), an optional module (30 credits) and a dissertation (60 credits). Assumptions about human development underpin contemporary debates and social policies. Yet how much can be known and what are the strengths and limitations of existing research? This module offers an advanced treatment of issues in typical development focusing on aspects of perceptual, emotional and cognitive development. It illustrates the differences between biological, behavioural, cognitive, and cultural perspectives and considers their compatibility. It is taught by active researchers in developmental psychology. This module considers methods of psychological research and the analysis of data. It aims to enhance the ability to understand and use various research methods and develop expertise in running statistical analyses using SPSS. This module considers ideas about the relationship between psychology and culture that have influenced developmental and cognitive psychology, influences on parenting, the development of language and communication, and socio-emotional and cultural aspects of development in childhood and adolescence. All students take one optional module. Graduates seeking BPS accreditation must take either Atypical Development or Language Development. Psychology graduates may be able to choose from optional modules offered by other masters programmes at the IOE, subject to availability. Other IOE modules may also be available to graduates not seeking BPS accreditation. This module provides an analysis of the nature, origins, developmental course and treatment of atypical development throughout childhood and adolescence. Topics that will be discussed are internalising and externalising problems (ADHD, depression), autism, eating disorders reading difficulties, number difficulties, specific language disorders, self harm and forensic psychology. All students undertake an independent research project. The programme is delivered through a combination of lectures delivered by both UCL Institute of Education academic staff and guest speakers, group work, and computer workshops giving hands-on practice. Assessment is through coursework involving exercises in statistics and methodology, and extended pieces of writing on set topics as well as the dissertation. This programme will prepare participants for progression to higher research degrees, employment as researchers or professional training to work with children and young people applying their psychological knowledge. Psychology and Human Development has more developmental psychologists than most psychology departments. The UCL Institute of Education (IOE) houses major longitudinal studies such as the Millennium Cohort Study. It is conveniently located for attending research seminars in neighbouring colleges and institutes, such as the Birkbeck Babylab and the Institute of Child Health. 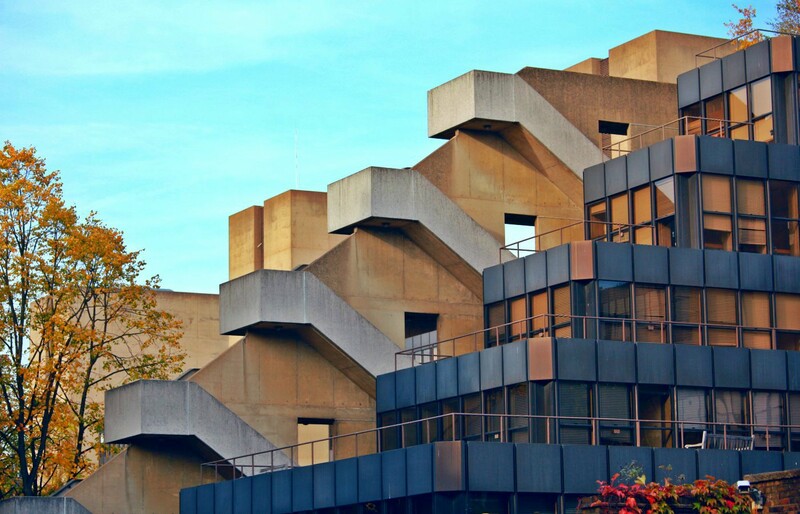 In addition to the IOE's extensive library and online resources, students have access to Senate House, which contains the British Psychological Society collection. Our alumni include professors of developmental psychology, educational psychologists, and clinical psychologists. The programme provides the opportunity for suitably qualified applicants to gain the Graduate Basis for Chartered Membership (GBC) with the British Psychological Society. "Much current research focuses on the cognitive processes and skills that support effective science learning in primary school children. A central objective is to help develop new approaches to the initial teaching of science that will benefit a range of learners, especially those at the lower end of the ability spectrum. The sheer wealth of contact with other researchers that being in London provides me with has been and continues to be a major stimulus to my own work." This programme is suitable for psychology graduates who wish to progress to research careers or professional training. Suitably qualified graduates of other disciplines take the programme to become eligible for Graduate Basis for Chartered Membership (GBC) with the British Psychological Society.